The episode below was first published in 2012. We invite you to view our updated take on this popular treat by clicking the button below. Thanks for watching! View Our Updated Episode "French Macarons Exposed"
French Macarons are becoming a popular, fast selling trend within the baking industry. French Macarons are an ever growing trend in the bakery world. 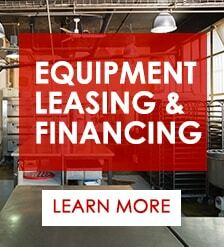 Bakery owners have taken notice and are adapting to meet the growing demands. If you are considering adding French Macarons to your lineup, here are some key areas to address. All great baked goods have the same starting point, a good recipe or formula. When searching for a French Macaroon recipe you are likely to come across Pierre Herme, a leading authority on French Macaroons. Many pastry chefs have adapted Herme’s recipe with their own variances, creating their own unique approach to this decadent treat. Likewise, it is important, regardless of the recipes origin, to find one that is highly detailed, and easy to understand; with all methodologies meticulously outlined. This ensures consistent, reproducible results. French Macarons are composed of the following ingredients: almond flour, powdered sugar, egg whites, granulated sugar, and optionally some type of food coloring or flavoring. Each ingredient carries its own important qualities. This serves as the base of your French Macarons. Special attention should be given to the type of almond flour being used. 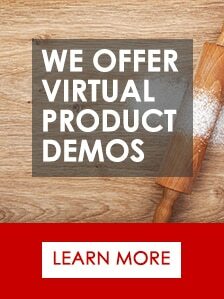 Almond flour with a coarse blend will leave visible specks in your finished product; whereas finely ground blends provide a nice smooth texture. Most almond flours are available in a coarser blend, you can achieve a finer blend by either sifting the flour or grinding it to a fine, powder-like texture. As far as ingredients, egg whites seem to be where pastry chefs often have differing opinions. Some prefer to use fresh egg whites, while others prefer pasteurized egg whites. In general, powdered (confectioners) sugar should be sifted and well incorporated with your almond flour, per the ratios outlined in your individual recipe. Granulated sugar is an important component to the meringue portion of the macaron formula. Its is very important that it remain free of other particulates. Cross contamination with any other particulates may have negative results on your meringue. When opting for a more colorful finished product, we found that gel based food coloring works better than liquid based coloring. In addition to providing more vibrant color, gels interfere less with the viscosity of your batter. It terms of flavoring, your are free to creative interpretation. In general you will also want to add flavoring in with your coloring as you incorporate meringue into your almond flour blend. This will help avoid over mixing your product. Similar to flavoring, this area is also open to creative interpretation. Some examples include: flavored butter cream, fresh fruit, ganache, and chocolate mousse. Methodology is typically where most recipes tend to vary. The most common differences include meringue type and baking times. French Macarons are usually made with three different types of meringue: French meringue, Italian meringue, or a Swiss meringue. During our tests, we found the most success with French and Italian meringues. Likewise, baking can vary greatly depending on consistency, size, ambient temperature, humidity and oven type. In our experience, we found that you want to have a lower temperature for baking, between 250°F- 300°F. The type of oven being used (either convection or deck) can also have an impact on the baking parameters for your French Macarons. As you begin to incorporate French Macarons into your product lineup, you may also also find yourself re-evaluating your product needs based on the level of demand. With time, pastry chefs or bakers may spend hours piping macaroons by hand while bent over a table. It will take a highly trained individual to get the consistency in shape and size. As demand increases you will need a more efficient, less labor intensive way of producing these delicious treats. 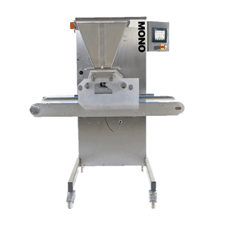 A Confectionery Depositor offers a fast, consistent and reliable method to increase production. As French Macaroons continue to trend upward in the pastry market, it is important to find the methodology and formula that works best for you. Do some experimenting until you find one that suits your needs and palette. The Omega Series of Confectionery Depositors are perfect for handling an even larger variety of products than the Epsilon.  With the available Wire-Cut option on the Omega Plus model, bakers can even process traditional cookies such as chocolate chip. Click here to learn more.